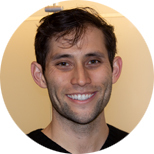 Kevin Ikuta, MD, is a Clinical Fellow at IHME. His research focuses on modeling the burden of antimicrobial resistance. Dr. Ikuta studied Philosophy as an undergraduate at the University of Southern California. He then received his MD from the University of California, Los Angeles David Geffen School of Medicine. He subsequently completed a clinical residency in Internal Medicine at Yale New Haven Hospital followed by a year as chief resident at Yale. He is currently a fellow in Infectious Diseases at the University of Washington.